Millions of devotees travel to the Mahamaham tank every 12 years to wash away their sins in the holy rivers believed to converge in the tank. Once every 12 years, pilgrims take a dip in the sacred tank where the holy rivers are believed to converge during the Mahamaham festival. 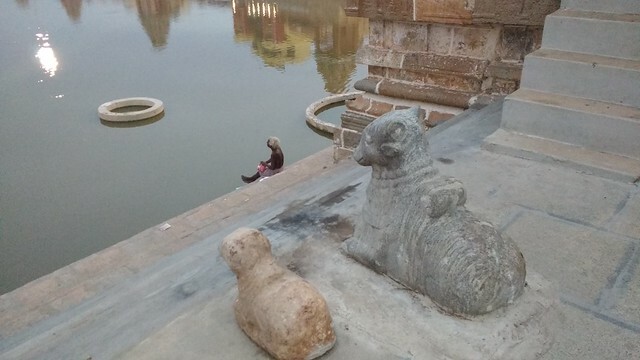 Temples in India have always had a water body near its premises. 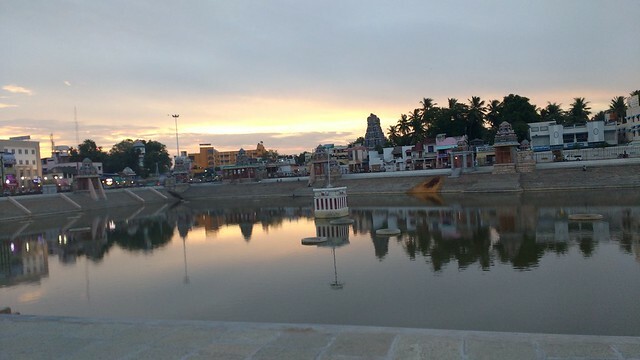 Whether it is a natural pond, a free-flowing river or a man-made tank, the water inside them seem to imbibe the sacredness associated with the temples, thereby becoming an integral part of the cultural, social and religious landscape of that area. 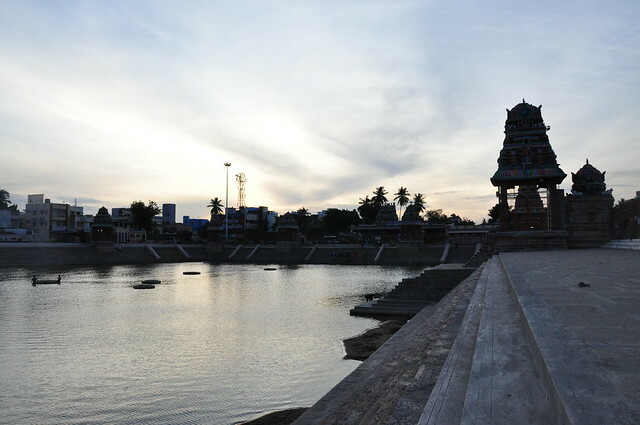 The Mahamaham tank in Kumbakonam, Tamil Nadu, is one such tank in the heart of the Cauvery delta. There is no concrete evidence of when it was built, though the puranas (ancient texts) mention Lord Rama bathing in its water. It finds mention in old religious texts, and is adulated in verse by the famous 17th century Tamil poet and saint, Appar Tirunavukkarasar Nayanar. 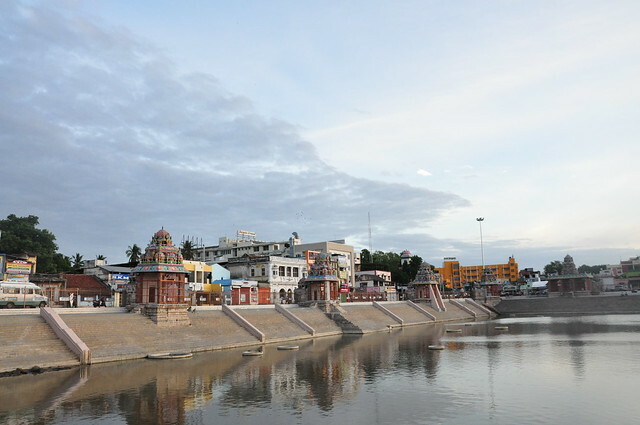 This is where the Mahamaham festival is held every 12 years. The festival is the southern equivalent of the Kumbh Mela held at the confluence of the Ganges at Prayag. Lakhs of pilgrims throng the tank to take a dip in its holy water. 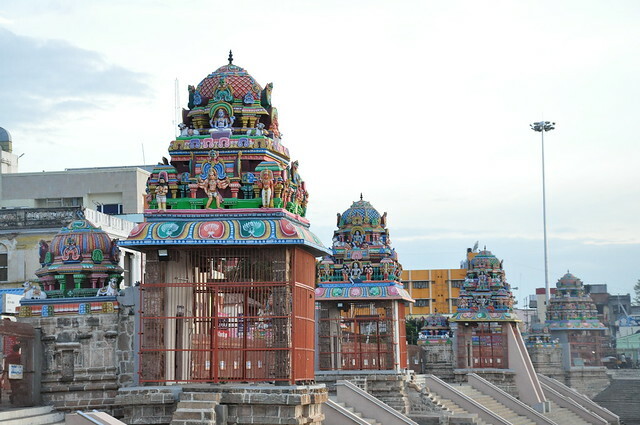 As per the ancient texts, the name of the city was Kudamukku (mouth or spout of a pot) from where the modern name, Kumbakonam, seems to have originated. The pot motif recurs in the myths associated with the Mahamaham tank. Kumba means pot and kona means crooked. As the legend goes, the celestial pot full of nectar holding the essence of life came to rest at this place after the deluge that follows every yug or era of human existence. Lord Shiva, disguised as a hunter, broke this pot with his arrow, thereby spilling its contents and rejuvenating life on earth. Mahamaham tank is that very place, where the pot was broken and the amrit (holy nectar) spilled on the earth. Of the broken piece of pot, Lord Shiva made a lingam and immersed himself in it. A temple here is named Adi Kumbeswara, which means ‘one who entered the kumba a long time ago’. Many claim that the city’s name is derived from here. Keeping with the belief that the lingam is made of sand or clay, no abhishekam or pouring of milk or water is done here as in the other Shiva temples. The tank itself covers an area of about six acres, and has a depth of about 10 feet. Since the early 20th century, however, the water level in the tank is reduced to a manageable two-feet depth before the onset of the festival to prevent any untoward incident. The tank is quadrilateral or pot-shaped; it has 20 holy wells, referred to as theerthams by the devotees, and are named after the holy rivers across the country and some Hindu deities. These wells were dug somewhere in the early 1900s, symbolising various theerthas or holy places. 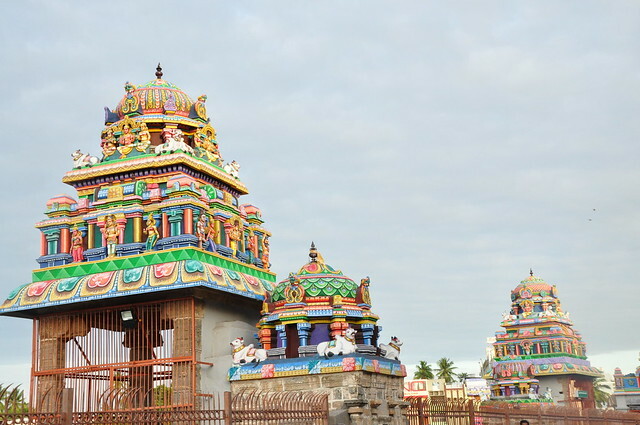 The tank is surrounded by 16 small mandapams or shrines dedicated to Lord Shiva. The smaller shrines that abut these pavilions house the lingam, and are believed to have been added later. The king of Thanjavur is said to have constructed 16 mandapams and stone steps around this tank, under the guidance of his minister Govinda Dikshitar. Going by the mythical stories that surround the tank, the holy rivers approached Lord Brahma to seek a way to purge themselves of the sins that had accumulated in their waters from the people who bathed in them. Brahma advised them to bathe in the Mahamaham tank at an auspicious, ordained time. To this date, people bathe in the tank water in the belief that all these sacred rivers are present in it during the festival, and a dip here is equivalent to bathing in all the rivers, and helps purge them of their sins. The tank is said to be fed naturally from the underground springs. The locals rue that this has reduced due to the rise of umpteen borewells that have sprung up in the nearby areas. 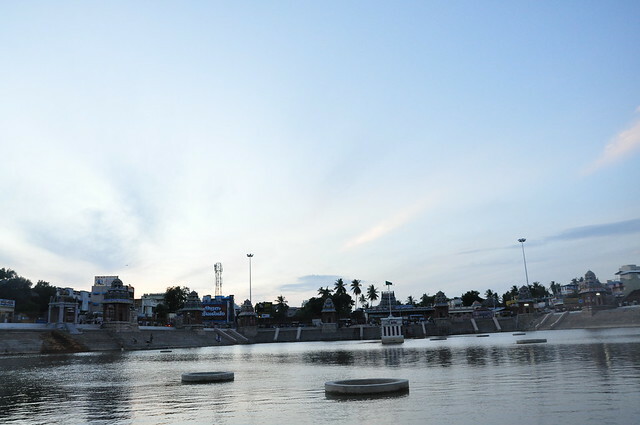 Before the Mahamaham festival in February this year, the tank was emptied, cleared of silt and then refilled with fresh water. A huge congregation of more than 40 lakh devotees from across the country took a holy dip here. The water in the tank may have been sourced from elsewhere or released from the faraway dams, but the devotees continue to believe that a plunge in the water of this sacred tank will wash away their sins. By air: Trichy is the closest airport , 96 km away from Kumbakonam. Travellers can also get down at Chennai International Airport, about 273 km from the town. By rail: Kumbakonam is well connected by trains from Chennai, Rameshwaram, Kollam, Tirupati and other important cities in the country. By road: Buses ply from Chidambaram, Bangalore, Thirunallar, Trichy, Chennai and other cities of Tamil Nadu.